YouTube Red, the subscription service released last summer, is finally being integrated with YouTube Kids. The Kids app already lets parents plunk their kids in front of the screen without having to worry that their little ones will stumble onto some unsavory content. With the addition of Red, I can now offline some videos for a long car drive, and hand my boys a smartphone knowing they won’t be exposed to ads for junk food that would rot their little teeth. 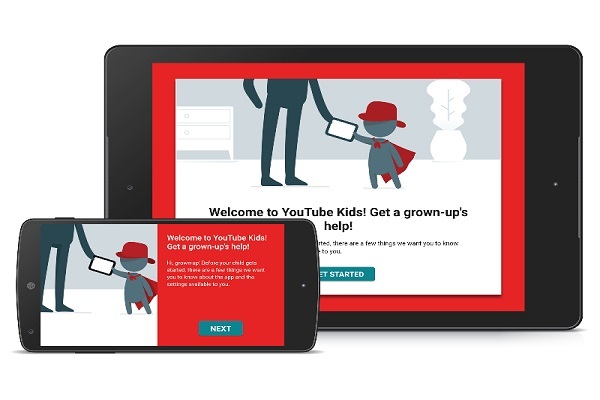 YouTube Kids — a video service from YouTube aimed at allowing parents to let their kids watch videos without stumbling across anything inappropriate for their age — is finally integrating with YouTube Red. Basically, kids can now watch videos without ads, as long as their parents pay for it. Google hasn’t released any numbers about YouTube Red, but has said that YouTube Kids has already served up more than 10 billion video views. Not only that, but a report from The Verge mentions that YouTube Red subscriptions make up around 4 to 5 percent of the income being made by YouTube content creators. According to Google, more changes to YouTube Kids are on the way, such as a few changes that will help parents better customize the content that their kids watch. The new integration is currently available in the U.S., Australia, and New Zealand.